Maria Montessori was born in Chiaravalle, Italy into a home of music, books and study. In her early teens, she entered engineering school, then medical school, becoming the first woman Doctor of Medicine in Italy in 1896. From observing young, underprivileged patients, Dr. Montessori determined that environment was a more important factor in their behavior than previously believed. She set about designing learning materials and studying children as they used them. These materials, combined with a specifically prepared environment and trained teachers, led to the Montessori Method of education. Dr. Montessori focused her attention on the development and uniqueness of each child. By stimulating an appreciation for learning in a “prepared environment” she found children became actively involved in their education, embarking on a self guided course of structure and discovery. Because the Montessori method offers individual attention to the whole development of the child, he or she can begin to build a lifetime of personal success and happiness. 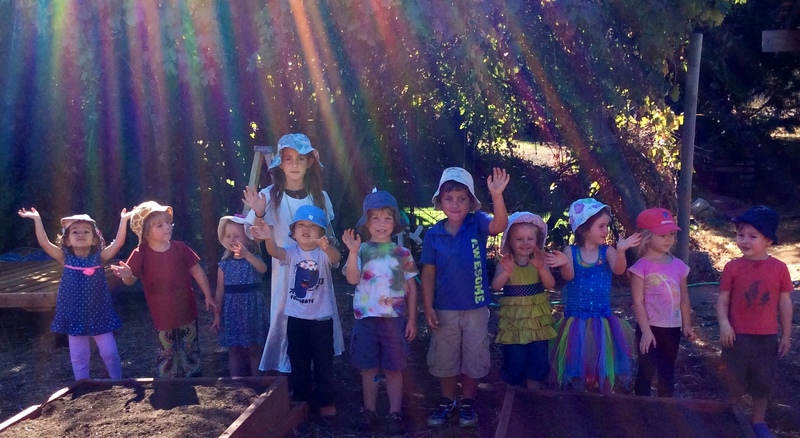 WHAT IS THE GOAL OF A MONTESSORI EDUCATION? The goal is to prepare children for a lifetime of creative thinking and learning. With the Montessori education, your child will receive a broad academic education in the context of a carefully planned, stimulating environment. Montessori teachers are committed to helping children develop within themselves a foundation of habits, attitudes, skills and ideas that are essential for achieving this goal. WHAT IS DIFFERENT ABOUT A MONTESSORI CLASSROOM? A Montessori classroom is a very busy place. It is also quieter than a traditional classroom. Because children choose their own activities, they remain interested and engaged in what they are learning and doing. The Montessori teacher is always close by, observing and preparing the help with the next lesson or question. A Montessori classroom is also a very clean and tidy place. Children treat their materials with care and put them in their proper place once they have completed their work. The Montessori classroom is designed to promote self discipline, independence and responsibility. Academically, children develop a foundation in language and math skills, physical and cultural geography, zoology, science, history, music and art. They also learn practical skills such as food preparation and cleaning. One of the most important aspects of the Montessori classroom is the teacher’s respect for the dignity of the child, no matter how young. WHAT IS DIFFERENT ABOUT A MONTESSORI TEACHER? The role of a Montessori teacher is one of guide and observer, whose ultimate goal is to intervene less and less as the child develops. The teacher builds an atmosphere of calm, order and joy in the classroom and encourages the children in all their efforts, thus promoting self-confidence and discipline. With the younger children, the teacher is more active, demonstrating the use of materials and presenting activities based on an assessment of the child’s needs. Knowing when to observe and intervene is a skill the Montessori teacher develops during a rigorous, specialized course of training at centers in the United States, and throughout the world. WHAT IS SPECIALIZED ABOUT MONTESSORI TRAINING? The classroom has top quality child-sized furnishings and learning apparatus. Materials sit on shelves designed for them. Children are taught how to use the materials and are free to move about the room selecting their activities, and pursing their work, either individually or in small groups. Montessori materials are specifically designed to be self correcting for errors, allowing children to learn on their own, under the guidance of the teacher. Although the entrance age varies in individual schools, a child can usually enter a Montessori classroom between the ages of 2 1/2 and 4, depending on when he or she can be comfortable and happy in a classroom situation. The child will begin with the simplest exercise based on activities which all children enjoy. The materials that the child will use at 3 and 4 will help the child develop concentration, coordination and working habits necessary for the more advanced exercises he/she will perform at 5 and 6. The entire program of learning is purposefully structured. Therefore optimum results cannot be expected either for a child who misses the early years of the cycle, or for one who is withdrawn before he finishes the learning cycle. WHAT HAPPENS WHEN A CHILD GOES FROM A MONTESSORI SCHOOL TO A TRADITIONAL SCHOOL? When children leave Montessori schools, they leave with inner discipline, a positive attitude toward school and learning, self esteem and the habit of concentration on tasks. Often, but not always, they are ahead of their peers. The skills and attitudes developed at Montessori lead to a lifetime of curiosity and learning — a benefit for children who move from Montessori to private, parochial, charter or public schools. IS A MONTESSORI EDUCATION FOR EVERYONE? Most children benefit from the Montessori Method. It is used around the world to educate children from all socio-economic backgrounds. Maria Montessori’s approach to education has been so successful that many private and public schools, as well as early childhood education centers, have adopted Montessori practices and philosophy.